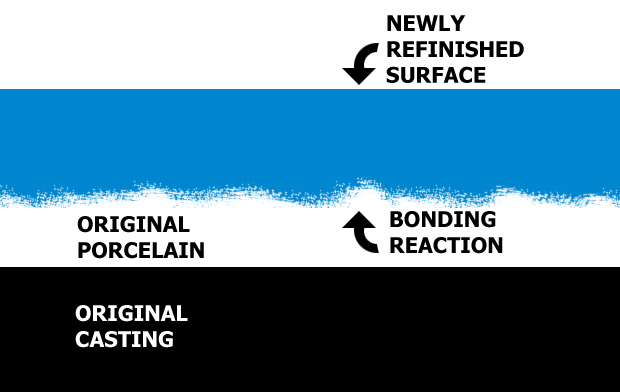 The artistic refinishing process is a remarkable time tested method that was developed specifically to bond to the original surface, example: bathtubs, tiles, kitchen cabinets and countertops. The secret lies in the ability of the compounds to fuse themselves into the original surface through a molecular bonding action. The new finish becomes a permanent part of the existing fixture, unlike bathtub liners which can crack, trapping unsanitary water and creating a health hazard. 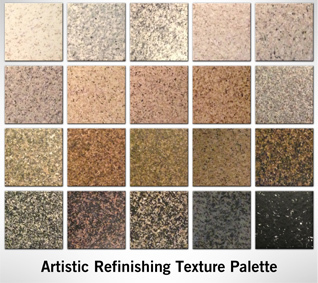 With many thousands of successful applications nationwide, the Artistic Refinishing process is truly bathroom and kitchen refinishing at its finest. Many more years of service are gained from bathroom fixtures with the remarkable new tub quality for which there are no substitutes. The durability of this coating provides for long term economic value, making it the most popular choice amongst homeowners, hotels, apartment managers and contractors nationwide. Next Next post: Should I Buy A New Bathtub, Or Resurface?